Exciting opportunity to develop an attractive development site with outstanding views south over open countryside. This 1.79 acre site is south facing and can be developed for a number of uses, the layout shown is for 12 log cabins for holiday home use. Alternatives would be a development of residential homes, touring caravans, camp site etc, all subject to the necessary planning consents. 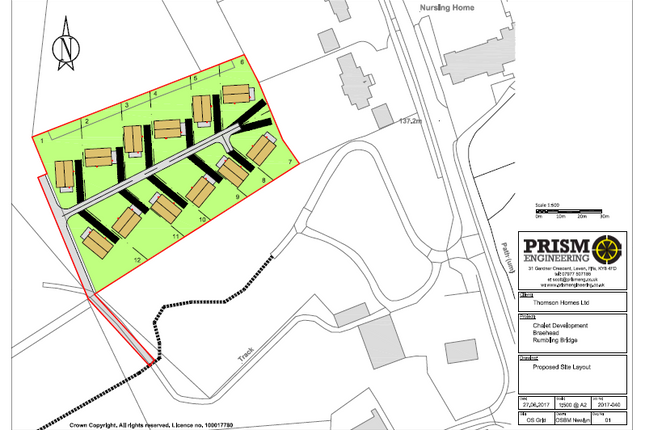 The site is located directly adjacent to the current local plan town boundary for Rumblingbridge which may assist securing planning permission. All services are available nearby and wayleaves will be granted to assist.